We all know how important search engine optimization, also known as SEO, is to a web site. 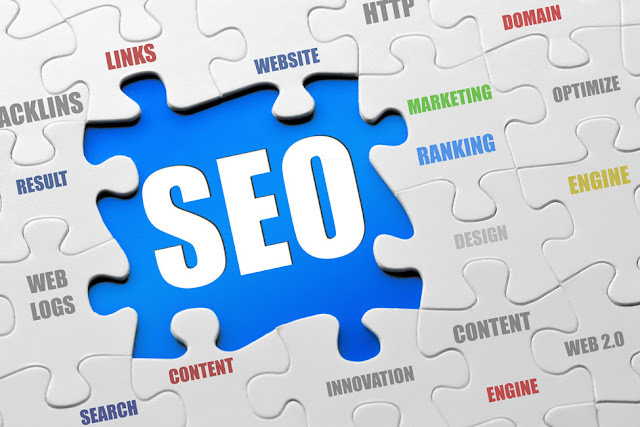 There are whole sites devoted just to methods of SEO and the profitability that a properly optimized site can get you. 2. Title appropriately – The title of you blog post is one of the most important parts. This is what the people and the search engines will come across before they ever see your actual writing. You want the title to not only catch people’s attention, but also give some insight into what you post is really about. Do not go for random, eclectic or cute titles. Yes, you can be creative but stay within the bounds of rationality. Your best bet is to keep your title shorter than ten words and use key words that people search for. You can find out what people are searching for with a variety of programs, some that are free. You can also use name recognition in your titles to get more hits. Name recognition is when you include a famous name, real or fantasy, in a blog post title. People like Batman, Clark Kent, or Robert Downey, Jr. are all well-known and well searched names. When you include names like that in your title not only do people want to read it to find out what connection they have with your blog, but your blog post also comes up in searches that have to do with those name, bringing you new audiences that you would have otherwise never have reached. 3. Tag your blog posts –Tagging comes with many different terms. Sometimes they are called categories. But whatever the case may be, this is your opportunity to tell the search engines what you post is really about. Shoot for a dozen tags or less per post or this can backfire on you and never, ever tag a post with something it is not really about. That is a good way to get your blog on the search black list. Make sure you know what tags are being searched for and which ones are plural or singular. It will not do you any good to tag a post “tech” if people search for “technology” and vice versa. Know who your audience is and what terms they use to search. 4. Use keywords –Like tagging, keywords are important. Search engines ‘see’ how many times you use a word or phrase in a post. You do not want to go overboard or you will get penalized again, but you should repeat a key word or phrase a few times in a blog post for the best effect. It is just another way to get the search engine to connect your blog post with what peole are searching for. Make sure whatever keywords you use are the words people search for or this will not help you at all. 5. Know what people are searching for – As I have said many times now, know your audience. Search engine optimization is only there to get you more traffic. You want to rise in the rankings so that people can find your blog. Well, there is no point being number one in a search for “flibbertigibbets” if your blog specializes in “whatchamacallits”. Plus people are not searching for either of those terms (at least not a lot of people) so try more generic terms like “funny words” to really get your target audience’s attention. The history of searches is your new best friend. Get to know what people are searching for in your niche and then write about it. It is just that simple. 6. Stay in your niche – I have been talking about a niche this whole time with the assumption that your blog has one. It does, right? If not maybe you should think about getting one, like now! A blog without a niche is like a compass without a point. Potentially interesting but not very useful. You need to know what your blog is about, who your audience is, and what they want. Without that information you can SEO all day long and not get anywhere. Make sure you are passionate about whatever topic you pick because blogging about it every day will get very annoying if you are not. Not only that, but readers and search engines know when you are faking an interest in something. So, my advice is love it or do not do it at all. 7. Become a part of the community –No blog is an island. No matter what you write about you will have other blogs out there writing about the same things. They are not just your competitors, though. They can be a big help to you if you let them. Become a part of the blogging community and share resources. Let other bloggers know the latest news that pertains to your niche, cooperate and share your audience, and you can even guest post on each other’s sites for additional help. I know this sounds farfetched, but blogging together is much more effective then blogging separately. Together you can verify your existence, as it where, to the search engines and the readers. 8. Be social –This time we will focus in on the audience. Social media is a great way to communicate with your blog followers and keep in contact with readers. It is much shorter and simpler then emailing notifications of new blog posts and so on, plus it gets you bonus points with search engines. If you get your name out there and your blog talked about on things like Facebook and Twitter then you are the real deal. Human interaction is the name of the game here, and social media is the way to get it. 9. Encourage interaction –Like I said, human interaction. A good blogger encourages comments on their blog posts. I know that some bloggers turn off comments to avoid spam and hacking, but that is like locking the door when the store is open. Sure you might get a few bad guys in, but you will also get a lot of readers, and that is what you want. Interaction shows that a blog is alive and worthy of notice, so try to encourage your readers to comment with questions and other incentives. 10. Get your name out there –Last but not least, get your name out there. Donate money, help a charity, guest post, offer to do things for free, join a group. Whatever you have to do to get your blog’s name out in the world, in places other than your own site. The more your name is used by others, the higher your search ranking will be. SEO is quite essential these days and it is really the pretty coolest way to get maximum visitors to a blog!